If you love horses, then you know how easily they can consume your entire life. Some horse lovers refer to their horses as being their boyfriends, and one thing's for certain: If you date someone who loves horses, then you need to be prepared to share your life with these animals. But when Kyle Garafolo planned out how to propose to his horse-loving girlfriend, he decided to embrace the horse's presence. 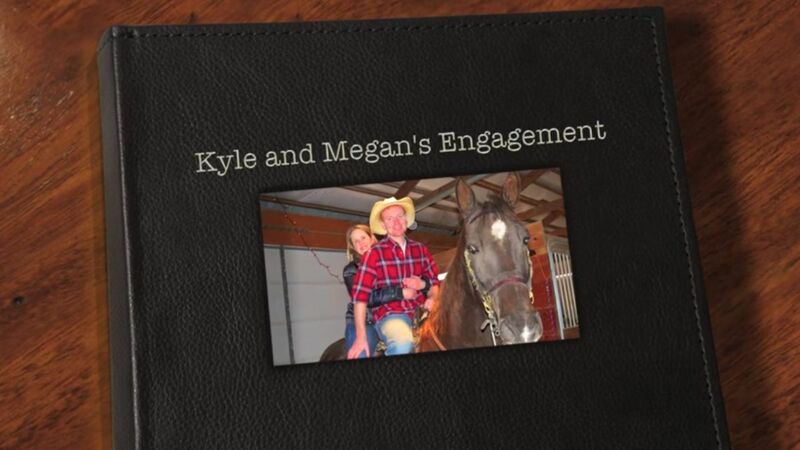 In fact, Garafolo incorporated his girlfriend's horse right into the proposal itself. Take a look at this awesome video - thankfully Garafolo thought to chronicle the whole process. From cleaning and decorating the barn to grooming the horse and even mounting up, he left no stone unturned in creating a beautiful equestrian proposal. Maintaining a relationship when one person loves horses but the other isn't necessarily a horse person themselves can be a challenge. Horse Channel recommends that a horse lover have an honest conversation with their boyfriend or girlfriend to explain what horses mean to them. Being able to convey how important horses are and what they mean to a rider's life can help a non-horseperson better understand horses just a little bit better. But it's also important to compromise. If you're a rider, you'll need to think about how much time you're devoting to your horse, rather than to your boyfriend or girlfriend. Are there ways to spend a little less time at the barn, or to dedicate particular days of the week to dates and spending time away from the barn? Couples successfully maintain relationships even when one person doesn't like horses as much as the other. It does require some compromise, honest conversations, and understanding of the other person's feelings. But like Garafolo did, horses can also be welcomed into the relationship, and they make for one memorable proposal!